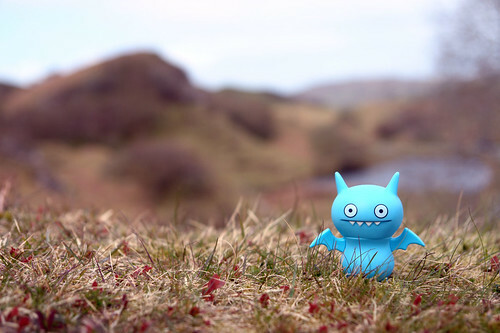 Uglyworld #530 - Ice-Bat at Fairy Glen, originally uploaded by www.bazpics.com. As soon as Ice-Bat heard talk of fairies he was out of the car like a shot flying around to try and find some. An hour or so later he flew back and told us that he had a cup of tea and a few fairy cakes with 2 friendly Scottish fairies but he wasn't able to show us where they lived (he said it was a big secret that he was sworn not to share with anyone else).